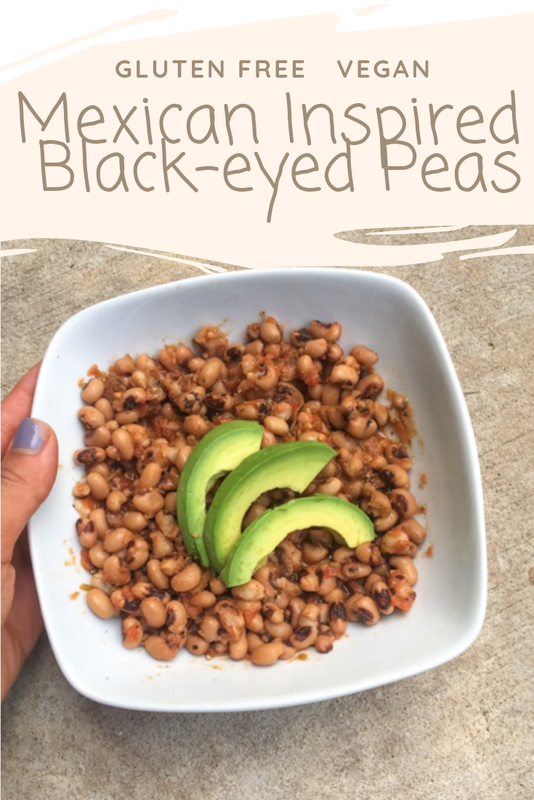 I got a feeling (wooohooo) that my Mexican inspired black-eyed peas are going to PUMP IT UP and show you where the love is. These are so good your tummy will boom boom pow. In a good way because that’s how we roll around here. T to the A to the S T E Y, it’s real tasty. D to the E to the L I C I O U S.
Fun fact I saw Fergie in concert when I was younger…she peed herself on stage. Somethings you don’t forget. I guess a little party never killed nobody. Confusing? Google Black Eyed Peas or Fergie. Shout out to all my born mid-90’s babes! I remember the first time eating black-eyed peas. It was last New Year’s Day (2018). They’re rumored to bring good luck here in Texas. I’m told all the south-east states celebrate this way. Which is not a common thing in Indiana. Anyway, not only are these beans “lucky”, but they’re nutrient dense too. Carefully take out of microwave, add salsa, cumin, salt, and pepper and mix together. Once mixed top with avocado. If you can't find no salt added beans, rinse them with a strainer to reduce the sodium content.